Our matching solid cherry plinths are a perfect accessory for wooden kitchens featuring our cherry worktops, and are also ideal for accompanying solid wood cabinets and other natural features in your kitchen. Cherry plinths measure 3000mm x 150mm x 20mm, and come square-edged with a smooth sanded finish to allow you to apply the treatment of choice. These plinths can also be used to create a larger cherry worktop upstand, and many other kitchen accessories such as window sills, skirting boards or doorway surrounds. 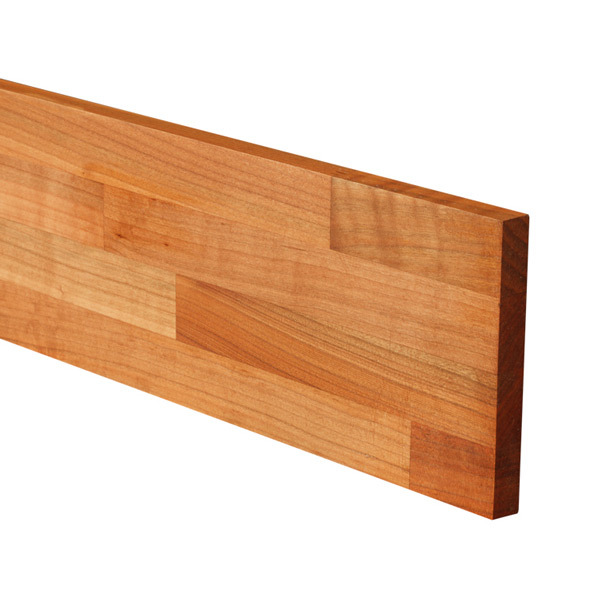 Find out more in our Wood Worktop Plinths Nutshell Guide.